Best choice security solution for your business. Keep your network and endpoints secure. Easily manageable from a single console. 10 years consecutive VB100 lab test awards. Cross-platform protection for all computers, smartphones, tablets and servers. 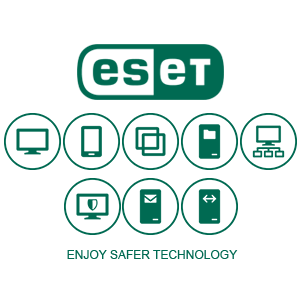 The applications above are all included within Eset Endpoint Protection Standard. The applications above are all included within Eset Endpoint Protection Advance. The applications above are all included within Eset Secure Business. 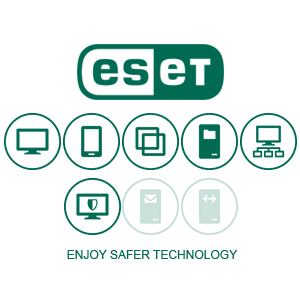 The applications above are all included within Eset Secure Enterprise. 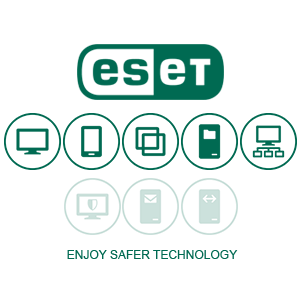 ESET Security Suites is multi-layered technologies that go far beyond the capabilities of basic antivirus which consist of Ransomware Shield, UEFI Scanner, DNA Detections, Machine Learning, Cloud Malware Protection System, Reputation & Cache, Behavioral Detection and Blocking - HIPS, In-product Sandbox, Advanced Memory Scanner, Exploit Blocker, Network Attack Protection, Botnet Protection are included in all of the business suites below.